It is widely known that Los Angeles hospitals provide the utmost care to their patients. It can be stressful leaving the hospital after a major surgery. Despite knowing the post surgery procedures, one may be hesitant to venture into their home without feeling fully recovered. Entering your home and realizing that you are not capable of doing simple tasks such as cooking, cleaning, feeding your pets and bathing can be frustrating. Luckily, A-1 Home Care in Culver City provides caregivers that can assist you with any of your post-surgery needs. Assisting you with household chores such as cooking, cleaning, wound care, etc. Furthermore, our home health assistants are CPR-certified, First-Aid trained, Malpractice Liability insured and are constantly educated on homecare practices. Our non-medical homecare nurses are available full time, part time, live in, or around the clock – 24 hours a day. The hospitals A-1 Home Care service include but are not limited to Ronald Reagan UCLA Medical Center, USC University Hospital, Long Beach Memorial Medical Center, and St. Mary Medical Center. A-1 Home Care services clients in Culver City, Santa Monica, Pacific Palisades, Malibu, Studio City, Hollywood and other surrounding cities in Los Angeles County. For more information, please call (310) 657-8780 or visit our website at http://www.culvercityinhomecare.com. When was the last time you took a break from taking care of your elderly loved one? A-1 Home Care in Culver City offers affordable live-in and live-out respite care so you can restore balance to your life. Go out and enjoy a nice dinner with your friends and family. Take up a new hobby or resume an old hobby that makes you happy. Treat yourself to a massage and facial at your favorite day spa. Plan a short trip for a vacation. There’s a myriad of things to do while our highly skilled caregivers look after your loved ones for a few hours a day or a few days a week. A-1 Home Care is a licensed, bonded and insured home care agency dedicated to providing quality senior care for families in LA County. We offer a variety of in-home care services, such as Alzheimer’s Care, Arthritis Care, Stroke Care, Parkinson’s Care and more. Since its inception in 1991, A-1 Home Care has become the preferred in-home care agency for its high quality, low cost live-in care. We make elder care within reach for families with any income bracket with our easy finance options. Our 24 hour services and respite care services are also covered by long-term care insurance and veteran benefits. For high quality in-home care, call (310) 657-8780 or visit our website www.culvercityinhomecare.com for services in Malibu, Culver City, Santa Monica, Beverly Hills, Hollywood, Redondo Beach, and other cities throughout Los Angeles County. Despite the advancements that we have made in Alzheimer’s research, there is yet to be found a cure for this disease that afflicts more than 5 million Americans. Fortunately, we have made a lot of progress in the past 50 years, so a cure could be very imminent. Not only that but we have also uncovered much valuable information, such as warning signs or ways to detect Alzheimer’s. There are many warning signs of Alzheimer’s disease and as a caregiver service agency, we strive to bring our clients and all others seeking caregiver services the most accurate and best resources in senior health. As a way of doing so, here are 10 signs to look out for when identifying Alzheimer’s disease. The onset of Alzheimer’s in a loved one can be very upsetting for family members, but if given the proper tools, it doesn’t have to be. As A-1 Home Care’s clients have already learned, the right attitude and proper preparation can make the experience much smoother. It is because of our Senior and 24 Hour Caregivers that our clients feel much more happier. Their loved ones are under professional and compassionate care administered by in home and live in caregivers trained in Alzheimer’s & Dementia Care, along with Incontinence Care, Elderly Care and more. For more information on our services, call our office at 310-657-8780 or 562 929 8400 and check us out at Culver City In Home Care. In the final years of your loved one’s life, you want to provide the best care possible by surrounding them with undivided attention. In addition to traditional services such as personal care, meal preparation and light housecleaning, hospice companions can provide spiritual support if faith is important to your loved one. Reading scriptures out loud, prayer and silent meditation provide much comfort to those who rely on their faith to carry them through hard times. Reflecting out loud about one’s journey through life with a trusted companion is also a healing process. 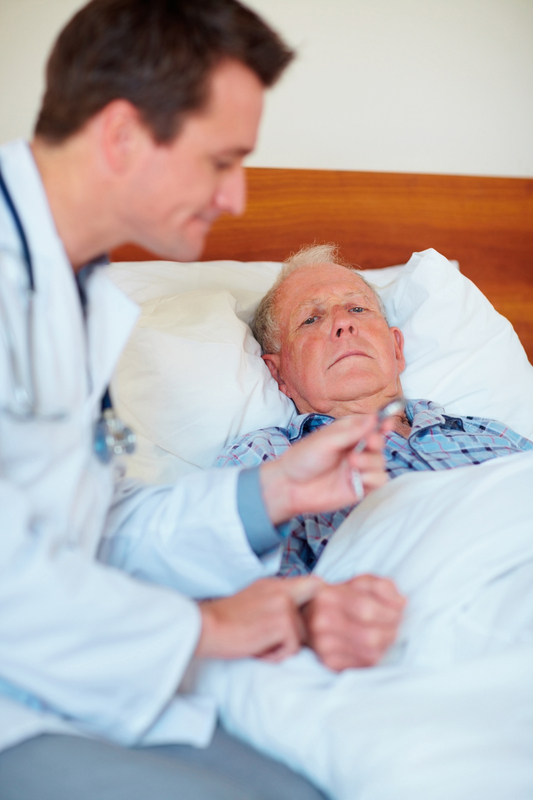 In contrast to hospitals, nursing homes and other assisted-living facilities, hospice care is compassionate, palliative care in the comfort of one’s own home. For over 20 years, A-1 Home Care has provided quality hospice care for families who are going through a distressful time. Our hospice companions have been a beacon of light to family members, providing meaningful support and making the most of one’s last phase in life. 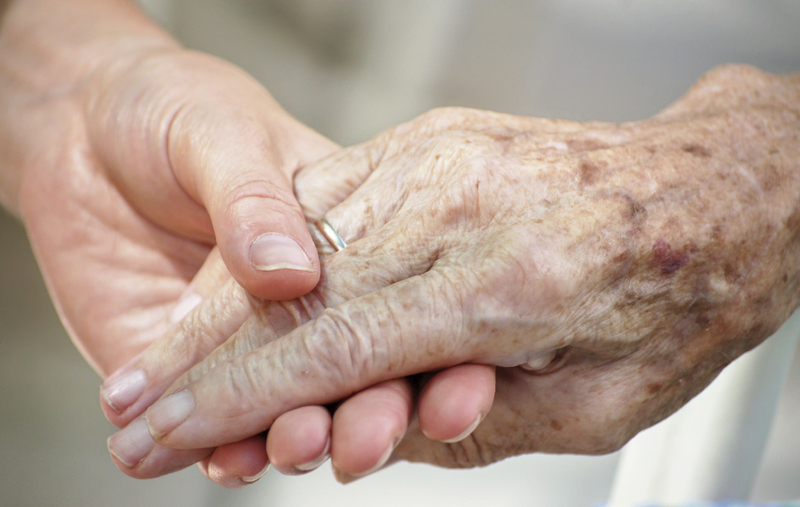 To find out more about hospice care, call A-1 Home Care today (310) 657-8780 to meet with our caregivers. You can also visit our website www.culvercityinhomecare.com to view our comprehensive list of services. We have provided top-notch hospice care for Culver City, Beverly Hills, Malibu, Santa Monica, and other cities throughout Los Angeles County. Stay connected with us Twitter and Facebook! Alzheimer’s Disease is often classified as “old age disease” because it is associated with memory loss, absent-mindedness, and cognitive impairment. Affecting mostly seniors over age 65, this form of dementia can be dangerous, especially in advanced stages. You often hear of the elderly wandering into the streets and forgetting their way home. Alzheimer’s makes you forget familiar streets and faces, and it can be emotionally devastating when your grandparents or parents forget who you are. This disease also has an impact on personality, mood swings, and speech. If you are the primary caregiver for your loved one, you know that juggling between taking care of your loved one, your kids, spouse, and other responsibilities takes a toll on your health. Eventually, having too much on your plate will push you to mental and emotional exhaustion! Before it gets to this point, call for help and get a respite caregiver who will divide the responsibilities in the home. Trained professionals can assist with personal care, grooming and hygiene, meal preparations, medication reminders, lifting and transferring, and so much more. Give yourself room to breathe, and you will feel a lot better knowing that you are taking care of your loved one and your own health. Call A-1 Home Care today for a free consultation (310) 657-8780 or visit our website http://www.culvercityinhomecare.com to see what we offer for Culver City, Santa Monica, Malibu, Studio City, Hollywood, Sherman Oaks and other surrounding cities.